A good way to keep kids entertained for a party is to hire achildren’s magician. They’re a fun touch that all kids love, especially the younger crowd. They are entertaining without being overwhelming and give the kids a chance to sit quietly and be entertained, which is a good choice for parties with a lot of smaller children. 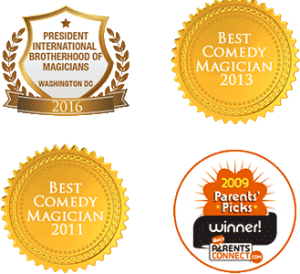 To hire the best children’s magicianyou don’t want to choose by price alone, as this is a surefire way to get a poorly qualified performer that doesn’t really know how to put on a good show. Many people read about how to do tricks online and may purchase a few kits for performing magic acts, but they don’t understand what it means to be a performer or to impress the crowd with their work. Before you call up any potential performer, consider how to find the best one for your next event. Check the tricks they perform. A good performer should share the types of tricks they perform. Are they sleight of hand, or something more involved? If they just have a table of card tricks this may not be enough to keep your kids happy for an hour. On the other hand, you may not want one with elaborate tricks that are overwhelming for your small space or for young children. You can also talk to them about their show if you can’t find information on a website. Know that they work with the right age groups. There is a difference between tricks for very young children and those for teens or adults. Most performers will have an age bracket for certain shows and will adjust to your audience. Ask them about this or note the age of the guest of honor and all other attendees so you know you’re choosing the right performer for your show. Be sure you understand all their charges. Typically a children’s magicianwill charge a flat rate for their show, but note if they charge for any overtime, travel, and anything else. You may need to ensure that you don’t delay the performer after the show so that you face additional charges. It’s good to know their price for everything involved with their show. You don’t want any surprises once the performer arrives or is finished with their show when it comes to their charges.